Last month, Huawei launched its flagship smartphone, the Mate 20 Pro. 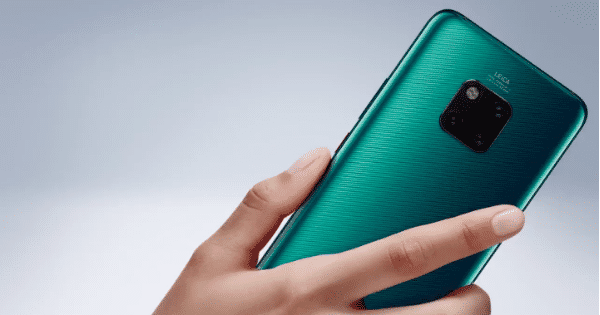 Notably, the Mate 20 Pro is the most powerful smartphone ever from the Chinese handset maker. The flagship comes flaunting features like an in-display fingerprint sensor, a triple rear camera setup, reverse wireless charging, and latest 7nm Hisilicon Kirin 980 chipset. The smartphone is exclusive to Amazon India and goes on sale for Prime members starting 12 pm today. The Amazon Prime members will be able to purchase the handset today at noon, whereas the non-Prime members can purchase the Mate 20 Pro starting December 4th at 12 pm. The brand has priced the Mate 20 Pro at Rs 69,990, however, it is also available in a bundle offer with the Sennheiser PXC 550 headset for just Rs 71,990 for a limited time. The headset is available separately for Rs 29,990. Orders placed using the RBL Bank credit card and Induslnd Bank debit and credit cards will be entitled for an instant discount of 10 percent from December 3rd to December 5th. Amazon India is also offering no-cost EMI on the purchase made through Bajaj Finserv till December 4th. Furthermore, Huawei is also offering 20 percent rental savings per month to users of Vodafone Red or Nirvana postpaid rental plans of Rs 499 and above. Further, Vodafone Idea users will also get 1.1 GB data per day on every recharge for a maximum of 12 recharges, worth Rs 199. To recap on the spec sheet, the smartphone ships with a curved 6.39-inch AMOLED screen featuring a display notch that houses the selfie camera, 3D face unlock module, and other sensors. The display comes with Quad HD+ resolution (1,440 x 3,120 pixels), an aspect ratio of 19.5:9, and an in-display fingerprint sensor. Powering the phone is the 7nm HiSilicon Kirin 980 SoC backed by 6GB RAM and 128GB storage. In the imaging department, the Mate 20 Pro comes with a 40MP + 20MP + 8MP Leica triple cameras on the rear panel and a 24-megapixel shooter for selfies and video calling. The handset runs Android 9 Pie with Huawei’s custom EMUI 9.0 skin out of the box and is powered by a 4,200mAh battery. Other features include IP68 rating, dual-SIM, 4G LTE, WiFi, Bluetooth 5.0, NFC, a USB Type-C port and GPS.